Please visit our online shop at ETSY for more items! 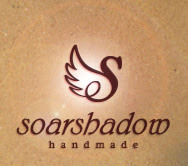 Copyright 2011 © soarshadow handmade. Picture Window theme. Powered by Blogger.